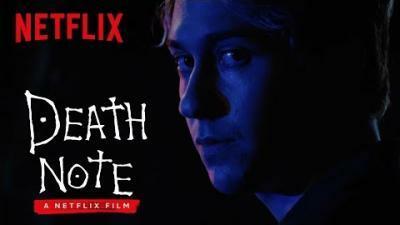 Press Release (TheFutonCritic.com): Beverly Hills, CA (June 30, 2016) - Netflix announced that principal photography begins Thursday on the original feature film Death Note from director Adam Wingard (The Guest, You’re Next). Death Note will shoot in Canada and the U.S. and stars Nat Wolff (Paper Towns, The Fault in Our Stars) as Light Turner; Margaret Qualley (The Nice Guys, The Leftovers) as Mia Sutton; Keith Stanfield (Straight Outta Compton, Dope, Short Term 12) as "L"; Paul Nakauchi (Alpha and Omega) as Watari; and Shea Whigham (Agent Carter, Boardwalk Empire) as James Turner. The film will be produced by Roy Lee (The Ring, The Departed), Dan Lin (The Lego Movie, Sherlock Holmes), Jason Hoffs (Edge of Tomorrow), and Masi Oka (Heroes Reborn, Hawaii-Five-0). 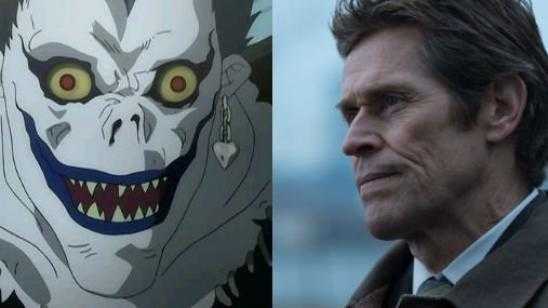 "I am honored to be working with this great cast and I look forward to bringing Tsugumi and Takeshi’s unique story to a global audience," said director Adam Wingard. "Our vision for Death Note has always been to bring this captivating story to the screen for its longtime manga fans and to introduce the world to this dark and mysterious masterpiece. The talent and diversity represented in our cast, writing, and producing teams reflect our belief in staying true to the story’s concept of moral relevance--a universal theme that knows no racial boundaries," stated producers Roy Lee and Dan Lin. Netflix is the world"s leading Internet television network with over 81 million members in over 190 countries enjoying more than 125 million hours of TV shows and movies per day, including original series, documentaries and feature films. Members can watch as much as they want, anytime, anywhere, on nearly any Internet-connected screen. Members can play, pause and resume watching, all without commercials or commitments.